Do you care how accurate your string tension really is? Are you a racquet stringer, coach, player or just someone who understands how critical equipment can be for the competitive tennis player? Then the BEERS TECHNIC ERT 300 Tennis Computer is a device that is a must-have for you. Made in Switzerland, the ERT 300 is used by numerous ATP/ WTA Touring pros along with many tour stringers and coaches. A local stringer who has strung the Sony Ericsson Open, the Cincinnati Masters, Indian Wells and the US Open said the following “If you do not use this ERT 300 tennis computer, you are definately missing out from taking your game from good to great. This is a necessity for the beginner to the advanced player”. 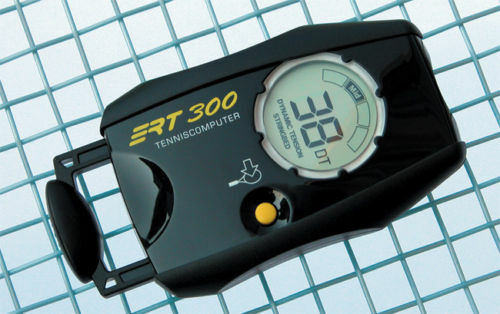 The ERT 300 is a must for any tennis enthusiast in the 21st century as the ERT 300 quickly and accurately measures the dynamic tension of the string bed of a strung racquet. This entry was posted on March 27, 2014 at 5:32 pm and is filed under Uncategorized. You can follow any responses to this entry through the RSS 2.0 feed. You can leave a response, or trackback from your own site.